Her burger expression makes me giggle in all the best ways! TOO ADORABLE! 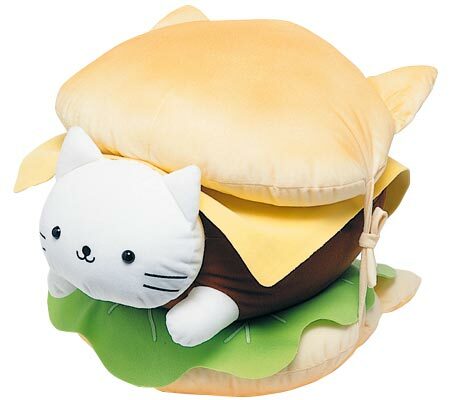 Do they really have those burger cats?Because that is adorable! they’re called nyan nyan nyanko! Oh so cute! Just searched and I have to get one of those!